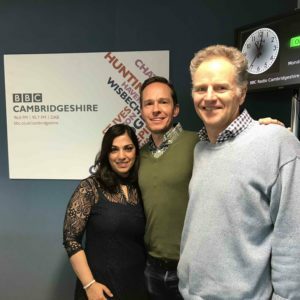 I was interviewed on BBC Radio Cambridgeshire on Monday about our petition to get Food Growing, Cooking & Nutrition on the Curriculum. At the end of the show two messages came in from listeners, one said: ‘Well done, ‘no brainer’, the other; ‘You people live in another world’! The second actually proved the first because the ‘you people’ were myself, ITV chef Parveen Spice Queen, and food-loving DJ Jeremy Sallis, all educated by our parents about food. We all eat healthy food and if required can cook a delicious, healthy, meal for 4 people in 20 minutes for under £1/head. The second message obviously came from someone who was not lucky enough to have this knowledge, so surely providing it in school is a; ‘no brainer’? So please sign our petition here and forward to your friends and contacts, we need lots of signatures to get the government to change. If you disagree please comment below. I would be prepared to give of my time to get involved with schools to initiate gtowing vegetables on school grounds.